If you have a tight budget but you still want to breathe some new life into your home, it is possible. You’ll just have to bear in mind that it’s a lot more hands-on and time-consuming, but it can also be a whole lot more fun. If you are looking to save money then upcycling and being innovative are the best ways to do it. Upcycling is the design process which takes everyday items or old pieces of furniture and reimagines or improves them. It’s a lot of fun and you can get your whole family involved. It involves being imaginative and crafty. The great thing about this technique is that everything you create is deeply personal, creative, and bespoke! Start small and simple by repainting furniture. 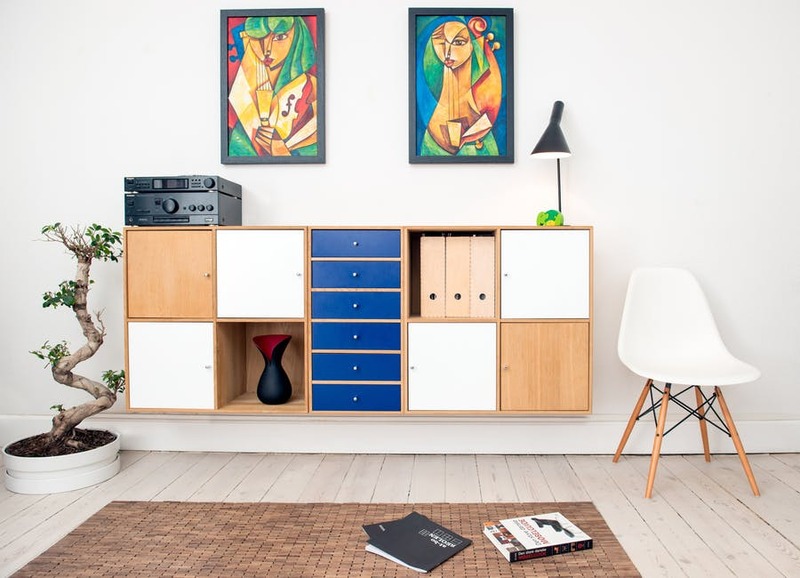 Wooden furniture, in particular, can look instantly more modern when it’s painted a bold color. Paint is a cheap way to transform rooms in general. Walls and radiators can both be painted. You can also buy stencils and paint panellings onto walls, this is a great way to cheaply replicate and expensive technique. Next try reimagining items. An old tin can, for instance, can easily be painted and turned into a herb or plant pot. The ridges are the can look industrial so they will fit into a kitchen design perfectly. If you’re able to spend a little more on home improvements, it makes sense to focus on some of the less extravagant everyday essentials. These can often be overlooked, but are a vital part of our homes. Plus investing in them will save you money having to replace or restore parts later down the line. Focus on things like the boiler, kitchen appliances, and the bathroom. Get your boiler checked and see if you need to replace it. If you can’t quite afford a new one outright consider boiler finance. Similarly, invest in a new vanity for the bathroom of some new kitchenware if you need it. Upgrading these practical items will mean that you reap the rewards every day, rather than buying an expensive new rug, which is a bit of a luxury. If you have the cash to splash then buying luxury pieces is a good idea. These are the kind of statement pieces which improve a room. An interesting light fitting, for example, can be hugely costly but transforms the ambiance of a room. Some bespoke pendant lampshades in the dining room or some low slung copper lights in the kitchen are a good idea. Alternatively, why not invest in some beautiful handpainted wallpaper. Use it on one wall in the living room to provide a focal point in the room and a talking point for guests.